Here we have pre op, post op placement and grown out 18 months post op result. 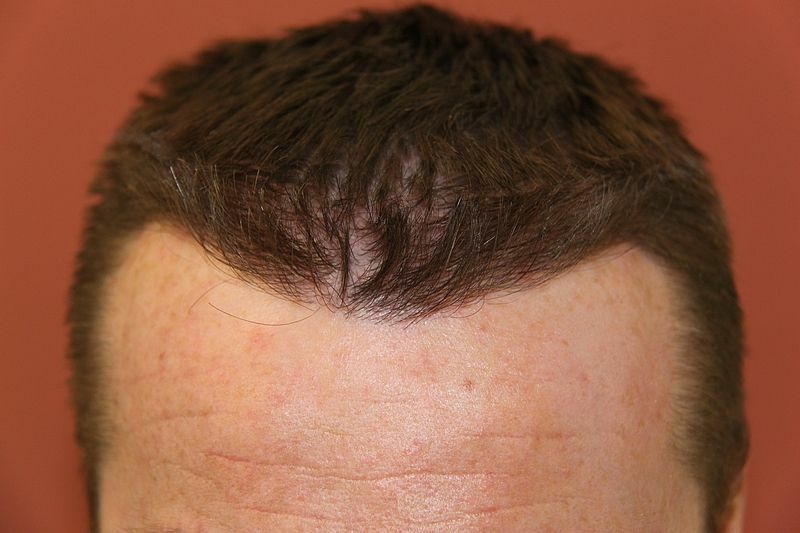 The patient had good groupings of hair, good donor density and takes hair loss medication. The goal was to rebuild his hair line and frontal third area that was miniaturising, also he wanted to keep the same hair angles, like a “cows lick” in his hair line he had naturally, this is more demanding to make the slits and placement as the direction has to change more dramatically. 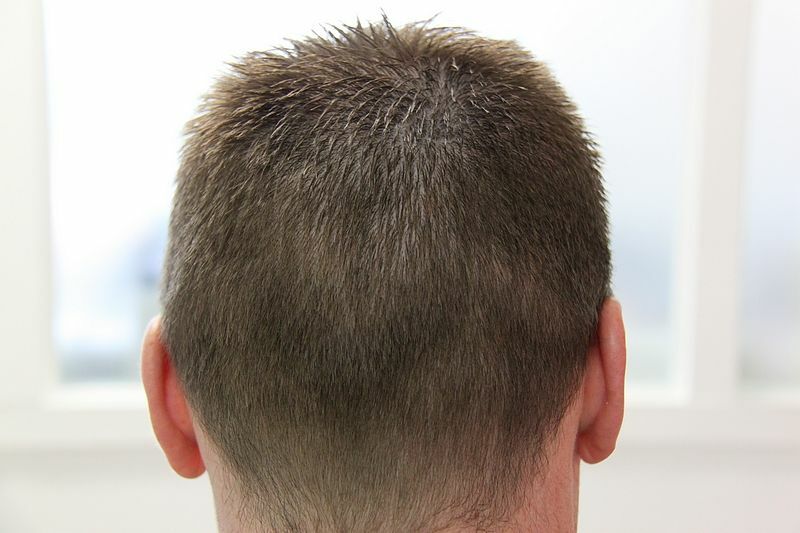 He had 2431 grafts with FUE and the break down was 1 Hair: 717, 2 Hairs 1147, 3 Hairs 373 and 4 Hair Units 194.
you did it ! nice cowlick ! » you did it ! nice cowlick ! I don’t understand why the placement photo is showing such a large area being shaved and grafted for only 2431 grafts? I would assume all the 2431 were put along the hairline. » » you did it ! nice cowlick ! » were put along the hairline. 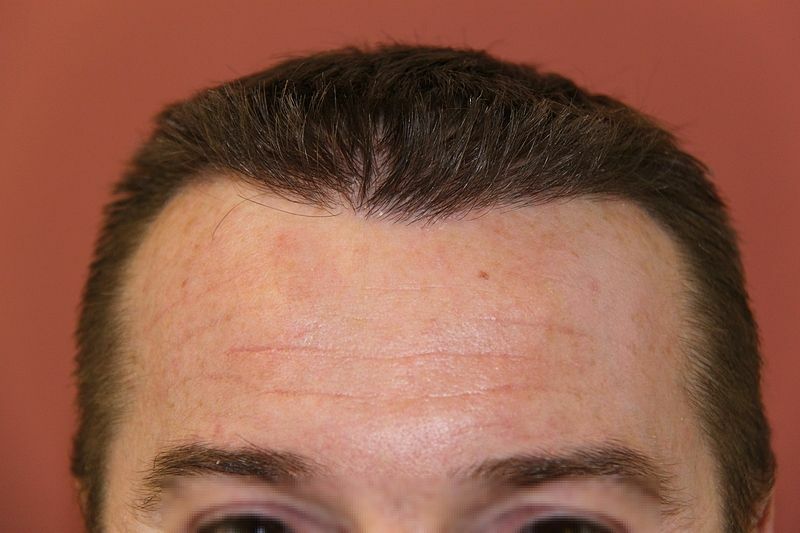 His hair line was rebuilt and then the placement continued back through the frontal third, the reason being and not overly obvious in the pre op pictures is he had a high degree of miniaturisation. If we literally placed only the hair line probably before the HT had grown out the hair behind would have been obviously thinner in calibre and look, possibly due to shockloss from the procedure. 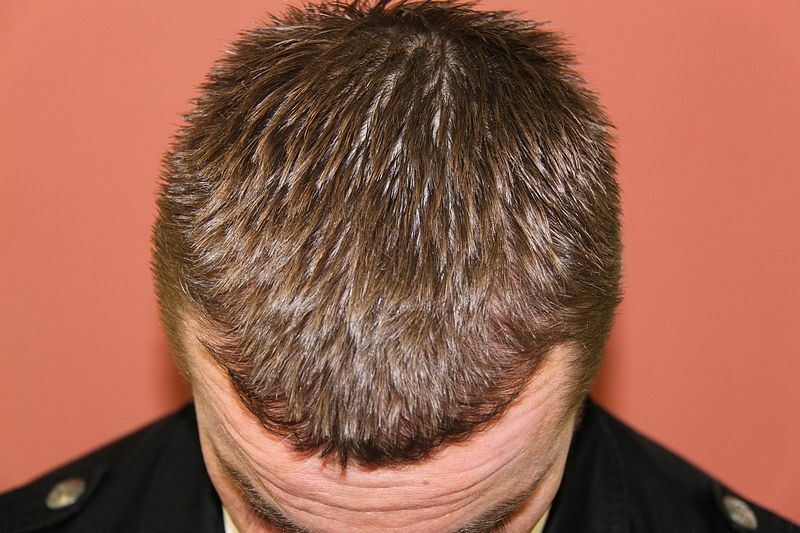 The decision was taken with the agreement of our patient to place over weaker and fine miniaturising hair to ensure the area treated would achieve a solid result. The donor pic looks very nice, how many more grafts do you think he can come up with for another FUE? » come up with for another FUE? Thanks for the comment, our patient is 31 on propecia and minox prior to his surgery and still uses, no major hair loss in his family on either side maternal/paternal. 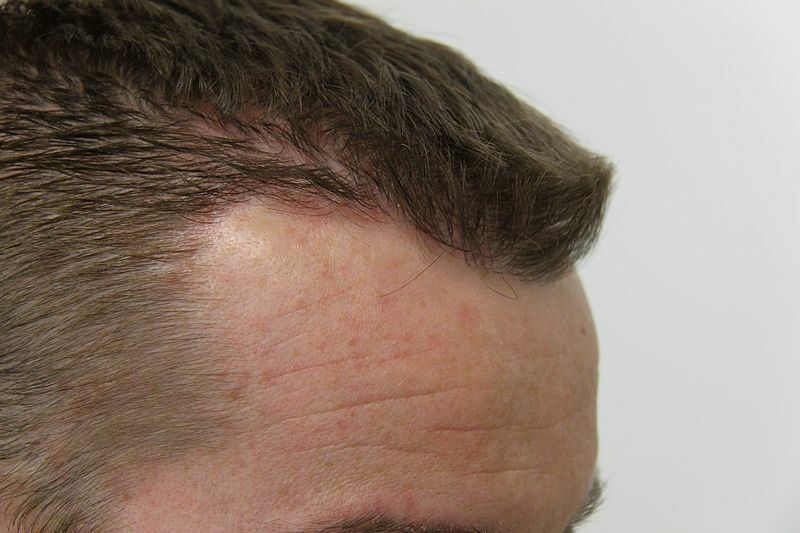 His starting donor density average was 90 FU cm2, way above average, allowing for future surgery with FUE and if hair loss progressed aggressively FUT also, with a relatively conservative potential to harvest around another 6000 grafts combining techniques. » » come up with for another FUE? » Thanks for the comment, … another 6000 grafts combining techniques. The question asked about FUE, not FUT combination. As this is a vital question, do you think you could attempt to answer it? How many more grafts vis FUE only? do have a graft placement pic from further away? 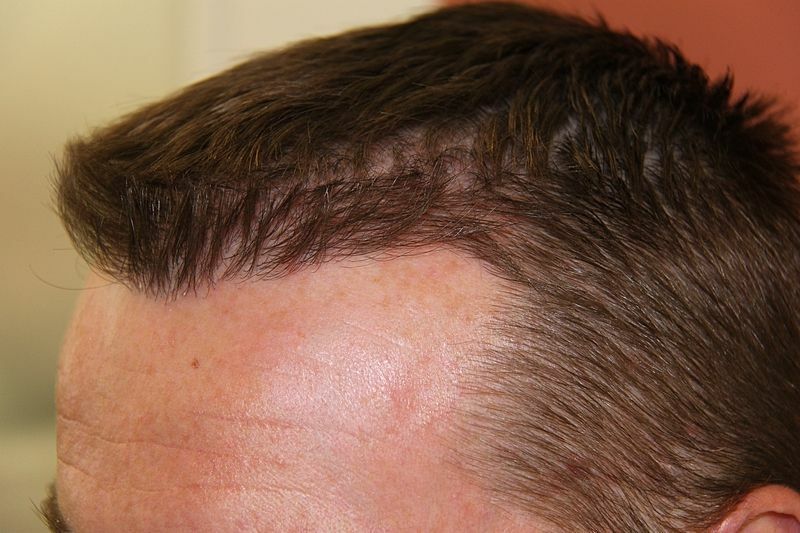 this one is good representation of the look of grafts implanted but doesnt give the good view of area covered!! 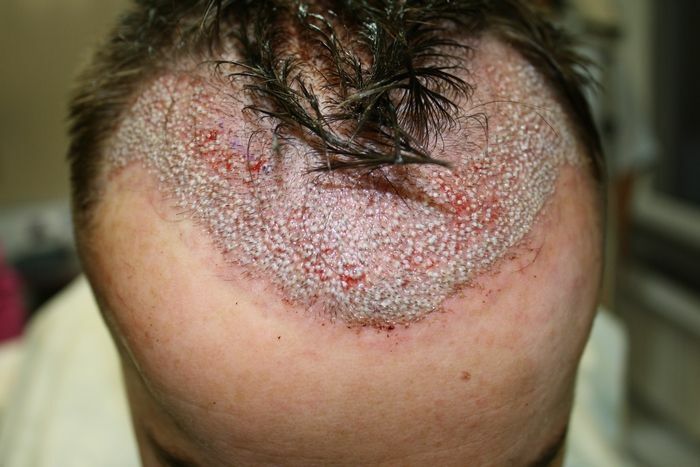 (too zoomed in u know)…looks like most of 2500 grafts went to hairline!! 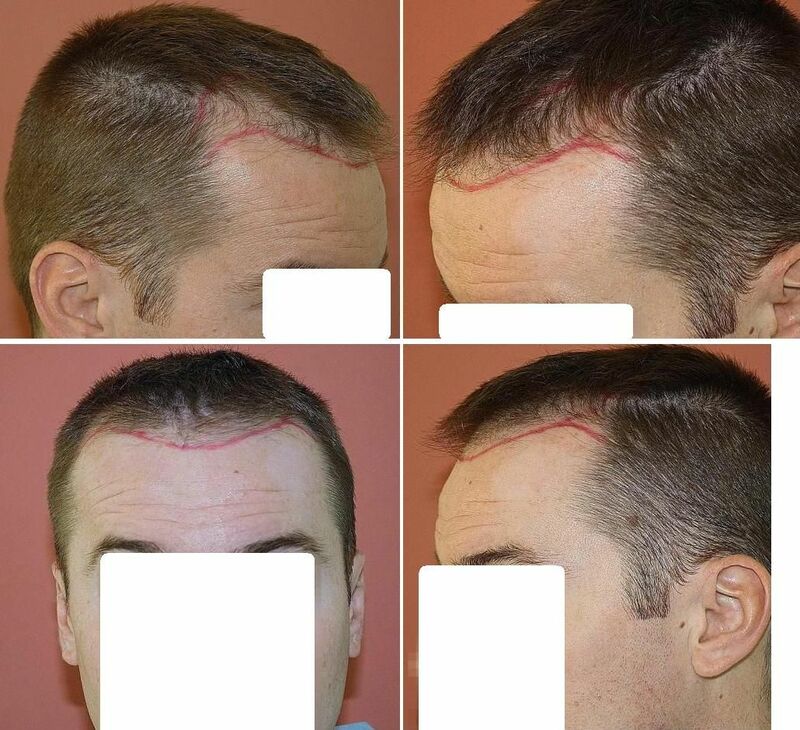 Profuse apologies, an attempt to answer in greater detail, to add the patient is open to both techniques if his hair loss progressed further than FUE could safely provide grafts, hence the answer as is, but of course you are correct fastforward asked regarding FUE. A starting average density of about 90 FUcm2, obviously will have dropped slightly after this procedure, healing was good with no obvious signs FUE had been performed so this will help for future extraction. Without pushing the donor and keeping in what we consider safe limitations around 2500 to 3000 possibly, with good healing and donor management, possibly split over two procedures if necessary. I will see if we have other pictures of the placement, but they are quite clear I think, hair line and going back through the temples over the frontal third, the only area not touched in the frontal third was the mid section where his hair was strong, the rest was shaved and placed over. » are correct fastforward asked regarding FUE. » two procedures if necessary. I suppose if you look at it like this, it does make an argument for people to do both fue and strip in order to get the most donor possible. A hair transplant is not all about one technique suits all and FUE and FUT can complement each other well. It doesn’t have to always be a debate about which is better or worse, which is more scarring or lower yield, if both are performed to the highest standards they are both credible techniques. They individually offer people the option/benefit in their particular stage of hair loss and in my opinion having both techniques now gives the candidates more choice and flexibility, be they virgin or repair cases. Being able to offer both techniques to a person I also think is a benefit as there should be no right or wrong, or bias towards a certain technique, but simply what is in the person’s best interests, long and short term.